The New York Times seemed to have caught the Pentagon by surprise this evening when it issued a breaking-news alert about American forces bombing two targets in Iraq. According to the initial report, Kurdish TV said that Americans fired at militants who have taken over two Kurdish towns, and who have been targeting religious minorities they consider apostates. Earlier today, President Barack Obama was reportedly weighing both military strikes and humanitarian drops to the besieged country. The resolution is still unfolding, and the Times reported that Obama was expected to make a statement on Iraq soon. Airstrikes on towns in northern Iraq seized by Islamist militants began late Thursday in what Kurdish and Iraqi officials called the first stage of an American-led intervention to blunt the militants’ advance and provide emergency aid to tens of thousands of refugeeds. The Pentagon firmly denied that American forces had begun a bombing campaign. But Pentagon officials said it was possible that allies of the United States, either the Iraqi or Turkish militaries, had conducted the bombing. Remember, the US isn't the only country w airpower in Iraq. Iran has planes based there; Russia, too. Who's bombing ISIS in Iraq? US: Wasn't us https://t.co/HyEbYBRVaw Turkey: Wasn't us https://t.co/WTWoiP3nYt Iraq: ...Can we do that? 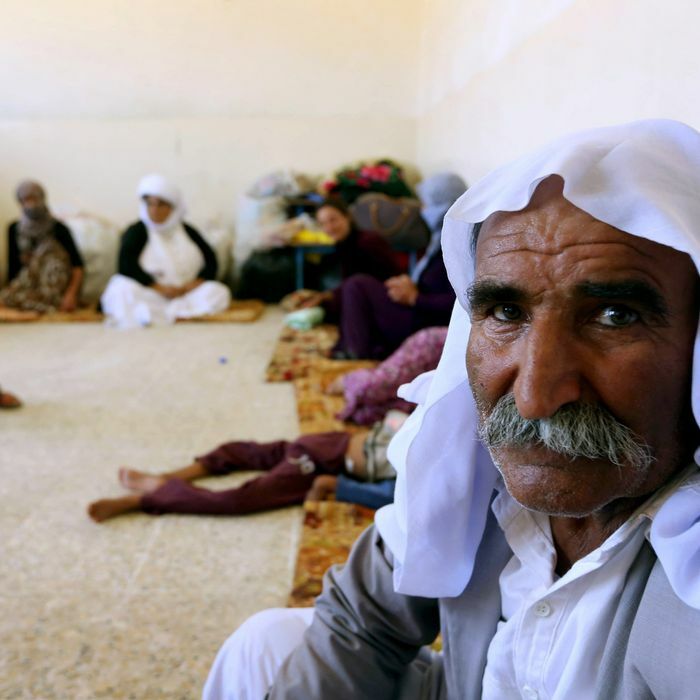 At the same time, ABC and CBS reported that Americans have begun to air-drop food and water to members of the Yazidi religious sect, thousands of whom are trapped on in the Sinjar mountains after fleeing from ISIS. They are surrounded by militants who demand that they convert to Islam, and the Iraqi government’s attempts to provide them with resources have been unsuccessful. Dozens have already died from dehydration.